"The O-Flex has a high tech core specially designed for indoor climbers. The core cables are wound together in a helix pattern to form a core that retains the ropes roundness better than traditional climbing ropes. 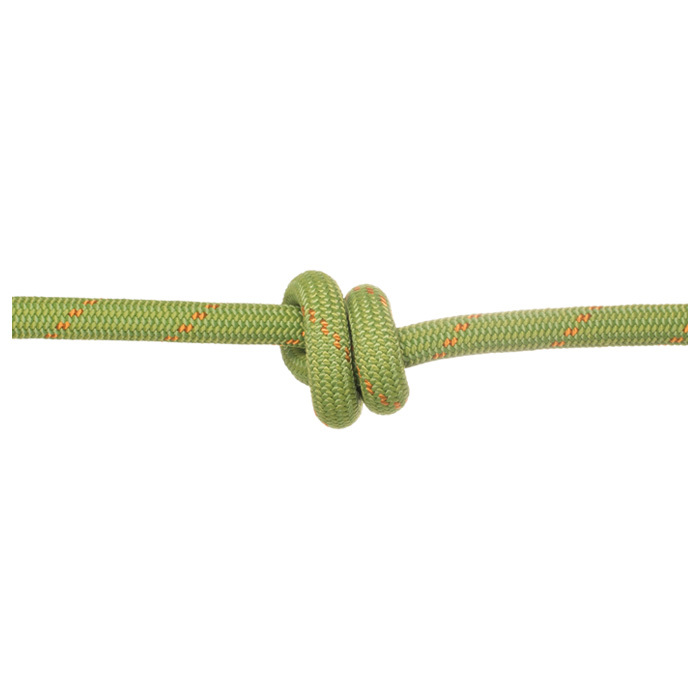 This is important to rope longevity in indoor climbing environments where top-rope is the norm. In addition to the special core, the sheath is thick for long wear. The new 9.8mm size is superb for clipping biners. O-Flex also makes a great outdoor rope. Super smooth HD sheath weave reduces rope drag and increases rope life in gyms. Pre cut 30m option.